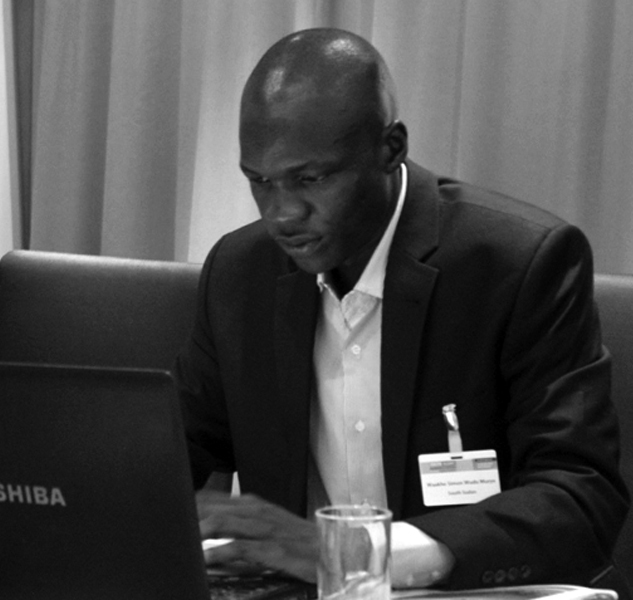 Waakhe Simon Wudu, also known as “Boboya”, is a South Sudanese journalist. He has been part of the MiCT Sudan and South Sudan project since its beginning in 2009. Waakhe freelances for international news agencies including Voice of America and Agence France-Presse. Earlier he worked as Central Equatoria State Correspondent for Gurtong Trust, a national peace and media project and news wire and the Juba Post newspaper. A “prolific, political and conflict-sensitive news writer”, as he describes himself, Waakhe also likes reporting on women and children issues. He also covered the historical referendum held in 2011 that witnessed South Sudan split from Sudan. With his firm belief in the role of journalism as watchdog over those in power, he says he wants to “contribute to more democratic processes in South Sudan – governance by the people for the people”. On a lighter side, Waakhe loves the traditional food from his home area – bush rat, commonly known as “Mijhi”. He likes swimming and is a great fan of the Manchester United Football Club. South Sudan peace talks to resume, but is there hope? Can South Sudan learn from Norway? Juba, Khartoum strike deal on conflicts -- but is it a breakthrough? What does it mean to me to be a journalist reporting on these elections?